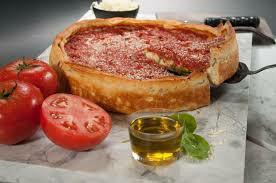 The Stuffed Pizza was born during Chicago's ''Golden Age'' of pizza in 1971 by Rocco Palese with his dear wife, Annuziata (''Nancy'') right by his side. When Rocco's patrons began asking him for Chicago's pan pizza, Rocco resisted the urge to imitate. he created his own version of a thicker, cheesier pizza that resurrected a century old Italian family tradition - The Easter Pie. 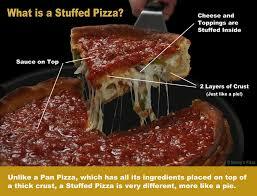 The Stuffed Pizza was born and the rest, as they say, is Chicago pizza-making history.